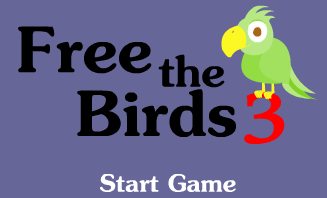 VitaminHana - Free the Birds Escape 3 is another new point and click type room escape game developed by Vitamin Hana. In this game, you try to escape the room by finding items and solving puzzles. Good luck and have fun! Hmmm..... I entered the pass code into the keypad and got 'access' but what did I access...door still won't open and nothing dropped from the sky. Excellent game - will check back to see if anyone needs help. Monica - look at cabinet where three letters are and "spell it out"
my mistake - I got 'assess' and it freed up the keys on the keypad but now when i type those same numbers into the pad nothing happens. Hey Bandy - Happy (belated) Birthday! Well I can't get key out of clock? And 355 dose not work for time? And great game as always ! TY Janet for the help! You're welcome Bandy - hope you had a great birthday! zoom in on the switch, click it, zoom out and read the number. Zoom in, turn on the lights, zoom out. Use the number on the green wall-safe. A word appears, containing three letters. Use the word on the lettersafe on the large cabinet. Read the time on the alarmclock, use it to open the small cabinet at the door. - About item the clock. Use the hammer on the alarmclock, take the green key. - Use the hammer on the small safe next to the plant, take the half part of a paper, open it. Use the key on the cage in the large cabinet. Use the pliers on the giraffe-pic. Look at the painting next to it to see the example. Open the safe next to the painting and take the screwdriver. Use it on the red cage, take the ducktape. About item the alarmclock, turn it around, use the sd to open it, take the second half of the paper, open it. About item the first part, put the second part next to it, use the tape. Read the three letters .. use them on the last cage, take the knife. Use the sd on the screws. Use the pliers on the cables. Back to the green keypad, fill in the symbol/number code. Use the symbol-code on the pad next to the door. Lovely game - thank you!